Whitefield Peeps, The Wok Shop Is Soon Bringing Budget Asian Goodness To You! 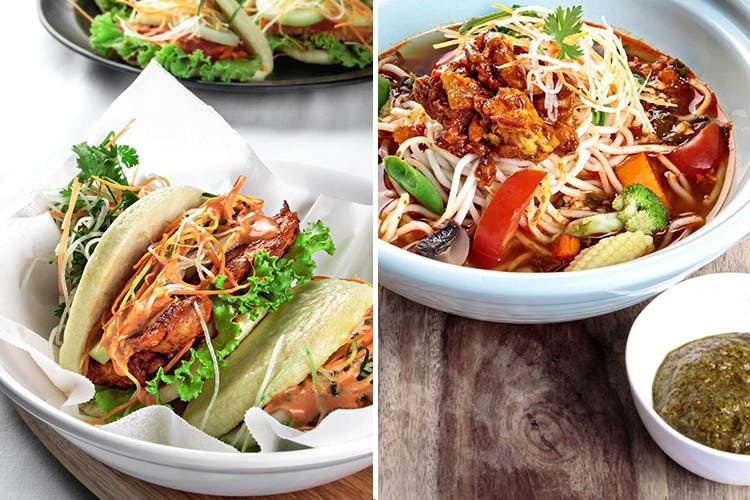 The Wok Shop is now in Phoenix Marketcity and you can finally treat yourself to plenty of stir fries. Customised stir fries, baos and dim sum at affordable, budget prices, sounds like a win win, doesn’t it? We think so too. Located next to Harry’s, The Wok Shop does bao sandwiches, dim sums and soup, rice or noodle bowls. Try the bao sandwich served with a choice of marinades including sambal, Thai chilli, pepper and even sweet bean and chocolate. Or opt for a soup bowl instead that can be either be Tom Yum or even Thukpa. Add rice or noodles to it and you’ve got yourself a meal going! Make your own with your choice of veggies, sauce, protein and rice/noodles/a mix of both. And wash it all down with a nice lychee and lime, peach, mango or mint cooler, to top off the meal. Nothing here is priced more than INR 220, so it’s a budget bowl of Asian goodness. Watch this space for more.